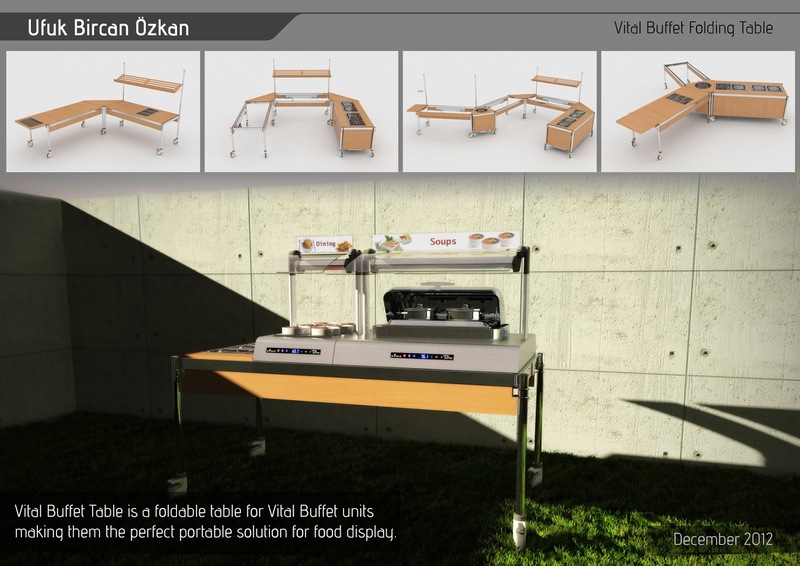 Vital, the modular food serving buffet project, was launched by Evinoks and its design had been finalized by Ufuk Bircan Özkan in 2013. 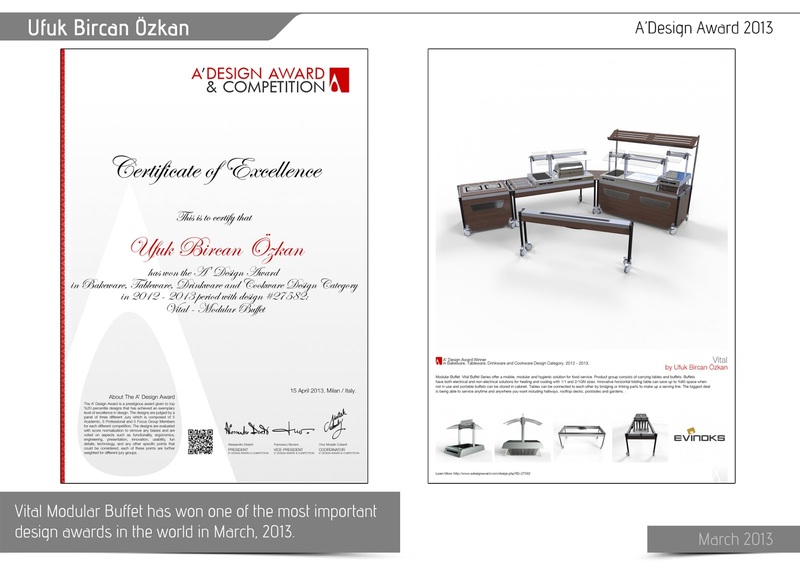 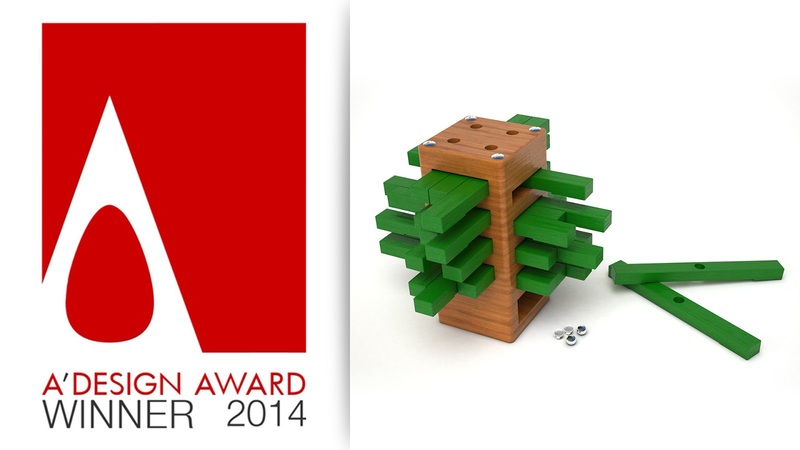 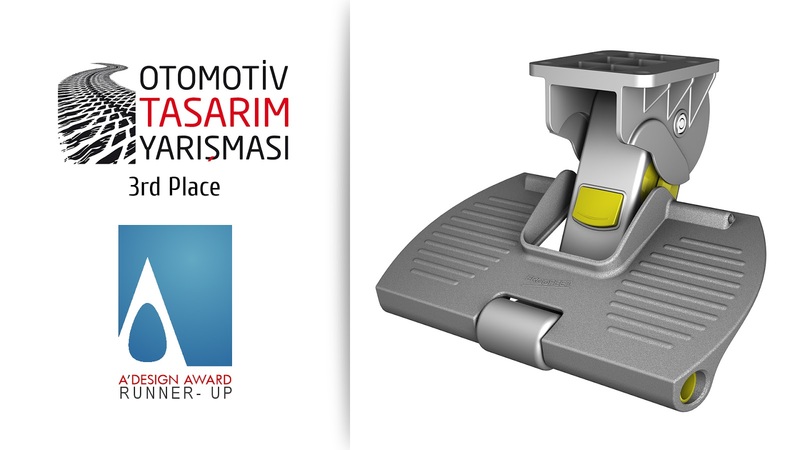 Vital is an A'Design Award winner in "Bakeware, Tableware, Drinkware and Cookware Design Category", 2012 - 2013. Vital Buffet Series offer a mobile, modular and hygienic solution for food service. 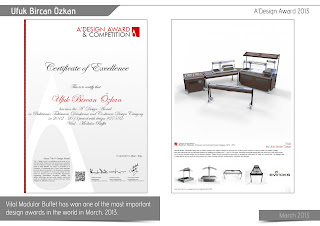 Product group consists of carrying tables and buffets. Buffets have both electrical and non-electrical solutions for heating and cooling with 1/1 and 2/1GN sizes. 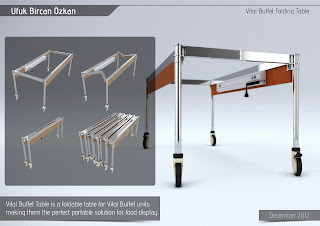 Innovative horizontal folding table can save up to %80 space when not in use and portable buffets can be stored in cabinet. 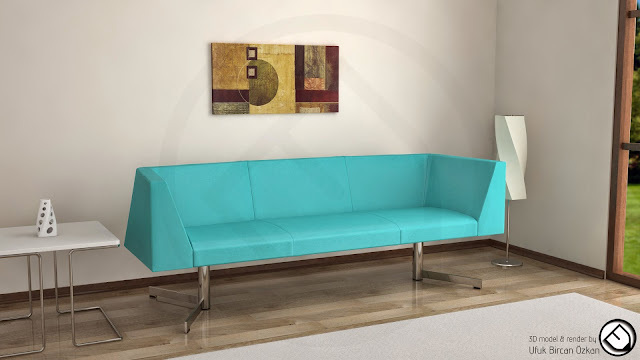 The biggest deal is being able to service anytime and anywhere you want including hallways, rooftop decks, poolsides and gardens.